The scarlet nape patch shows that the bird in the picture above is a male; the female (see below) has no red on her nape. 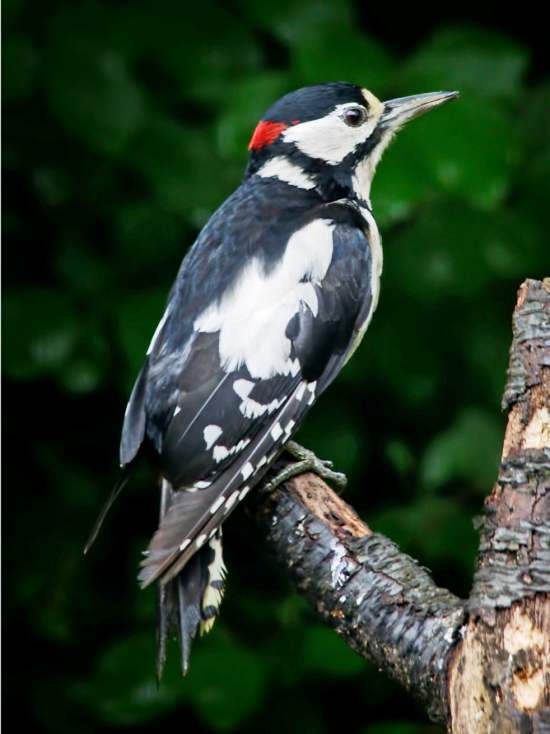 Sometimes referred to as the 'pied woodpecker', this is the member of the woodpecker family seen most frequently in Wales, although several others are also to be found here. 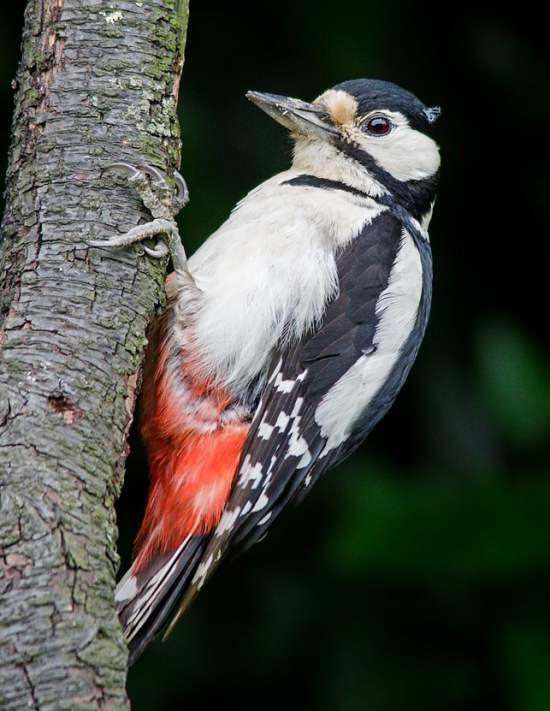 The large white wing patches distinguish the Great Spotted Woodpecker from the 'barred' or Lesser Spotted Woodpecker, which is a much smaller bird. 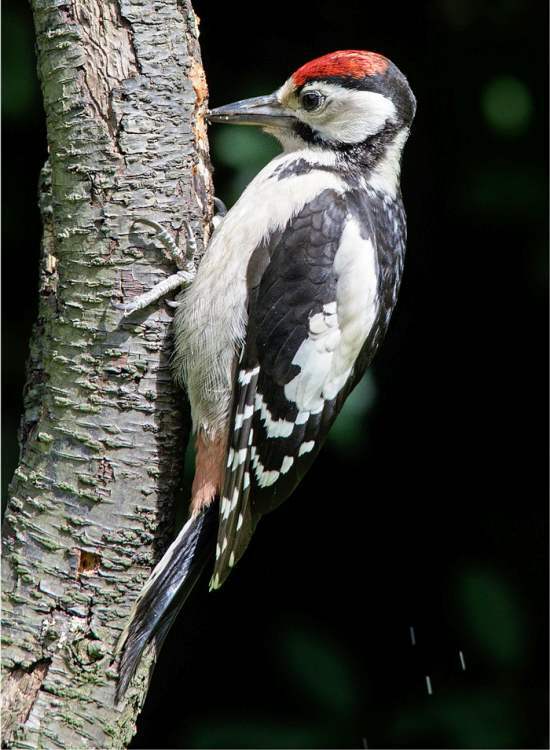 These are mainly woodland birds, but they also visit gardens and, while insects are their main food source, they can often be seen taking nuts from bird-feeders. Nesting within holes in trees, Great Spotted Woodpeckers produce between four and seven eggs. The young all have red crowns but, unlike the lesser spotted woodpeckers, they lose this feature when they mature. Two of this bird's relatives to look out for in Britain are the Lesser Spotted Woodpecker Dendrocopos minor and the Green Woodpecker Picus viridis. Green Woodpeckers are more plentiful in southern England and on the eastern side of Wales, but they are increasingly rare further west and north. This page includes pictures kindly contributed by David Adamson.